“I’d like to thank my readers for their patience during my recent break from blogging. Now that I’m rested, it’s time to start barbequing some sacred cows. First on my list: limiting the dose of sublingual buprenorphine to 16mg per day. 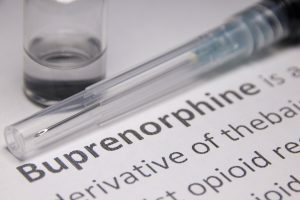 Recently I’ve heard from physicians who have been told 16mg of sublingual buprenorphine is the highest daily dose that should be prescribed, because studies show that opioid receptors in a human brain are saturated at that dose in most people. While this is true, limiting all patients to 16mg or less neglects research from real life patients. Some governmental agencies have gone as far as forbidding daily doses higher than 16mg. For example, the Virginia Board of Medicine passed a regulation earlier this year that the highest dose that physicians could prescribe was 16mg per day. In Tennessee, patients can’t go above 16mg per day unless they are seen by an addiction specialist physician.